For maintaining proper pH level. To reduce pH when it is too high. Hydrochloric acid concentrated at (31-33%). 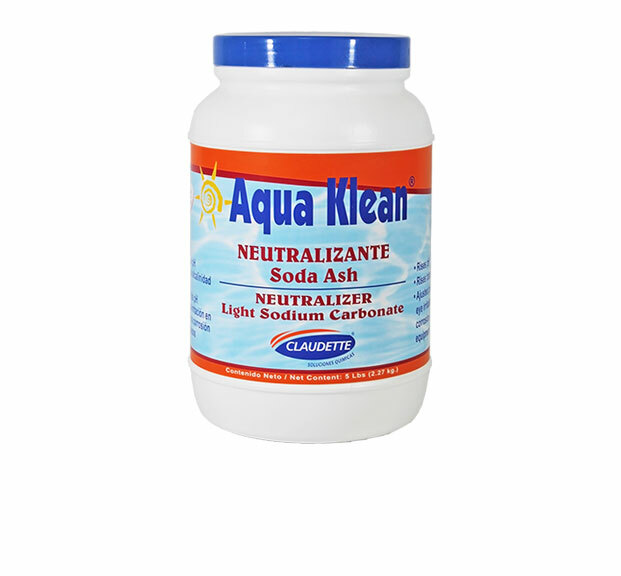 Also use in general cleaning and as a hardness remover. Recommended dose: for reducing the pH from 7.5 to 7.0 it needs 0.25ltaprox. of the productper 10,000 gallons of water. To increase pH when it is below 7.2. 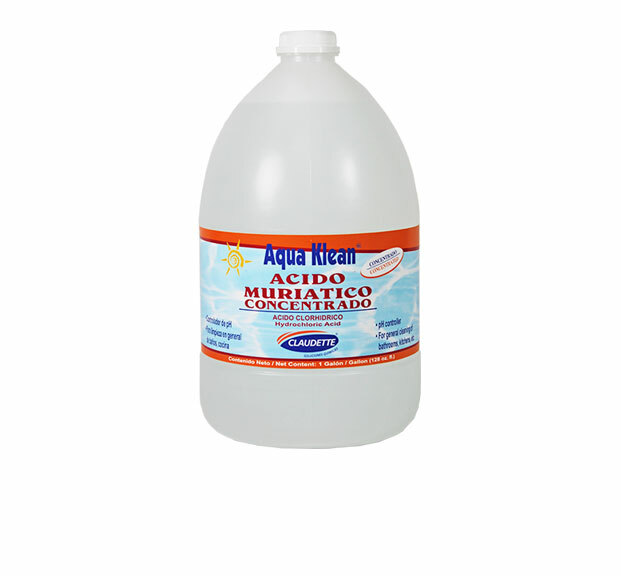 Is an effective acid neutralizer. 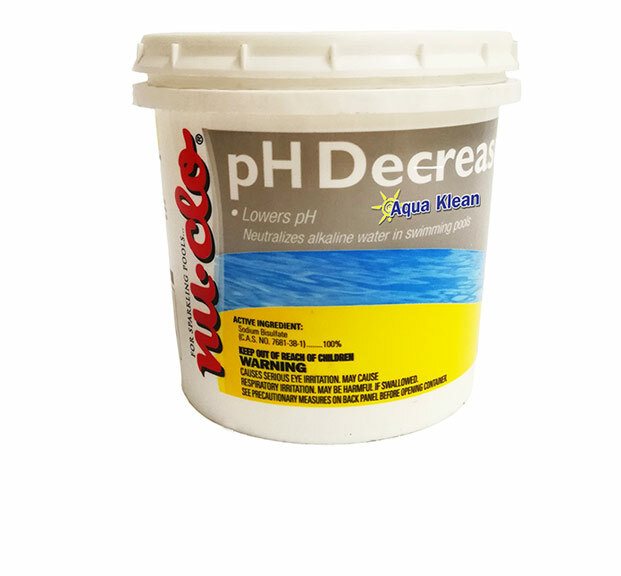 Increases total alkalinity, buffering the water to avoid drastic pH changes. Recommended dose: for increasing the pH from 5.0 to 7.0 it needs approx. 5kilos (176 oz) of Soda Ash per 10,000 gallons of water. Granular acid salt. pH controller. To reduce pH when it is too high. For pools and water tanks.